The Konami Code Easter Egg in the Anthem main menu is a fun little surprise you can unlock. Plus, it’s a pretty interesting Easter egg, because who would even think of entering the Konami Code, of all things. Still, the main menu in Anthem does indeed hide an Easter Egg, which you unlock by entering the Konami Code. Our Anthem Main Menu Konami Code Easter Egg – How to Activate guide will show you the exact moment to enter the Konami Code, how to enter it on the different platforms, and what you get as a “reward”. How to Get Konami Code Easter Egg in Main Menu in Anthem? 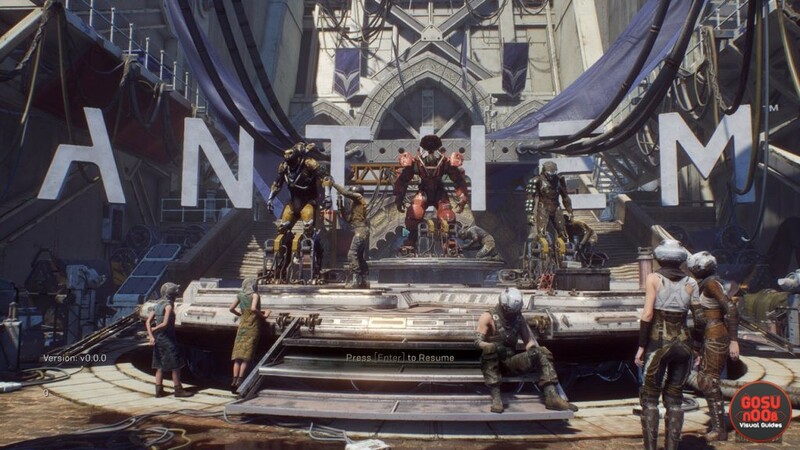 To activate the Konami Code Easter Egg in the Anthem Main Menu, you first have to be in the proper stage of the Main Menu. By that I mean, you have to get to that stage where it says Press Enter to Resume (or whatever the equivalent on your platform is). If you attempt to pull the Konami Code thing while the game is connecting, it won’t work. So, make sure that everything is connected first, and that you’re ready to go. Now, all you have to do is enter the Konami Code. According to Reddit user C_Rufio, it works a little different on each platform. On Xbox One, the sequence is Up, Up, Down, Down, Left, Right, Left, Right, B, A. On PlayStation 4, it’s Up, Up, Down, Down, Left, Right, Left, Right, Circle, X. You can probably perform the whole thing on the D-pad. Lastly, on PC, the Konami Code goes Up, Up, Down, Down, Left, Right, Left, Right, B, A. You’ll have to use the arrow keys and the actual letters B and A. So, what do you get for your troubles? Well, it’s actually kind of a cute surprise. The menu music turns 8-bit, just like the Konami games of yore, back when they actually made good video games. You can check out the melody in the video below; honestly, it sounds cool, if you ask me. Anyway, if you need help with anything else in the game, check out some of our other Anthem guides, including How to Change Weapons, Abilities & Javelins and Alliance System & Guilds Explained.